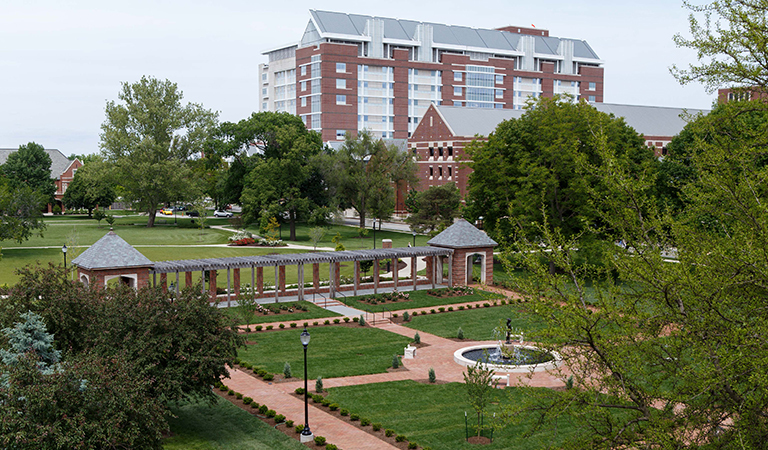 A beautiful view of the renovated IU School of Nursing Ball Nurses' Sunken Gardens. 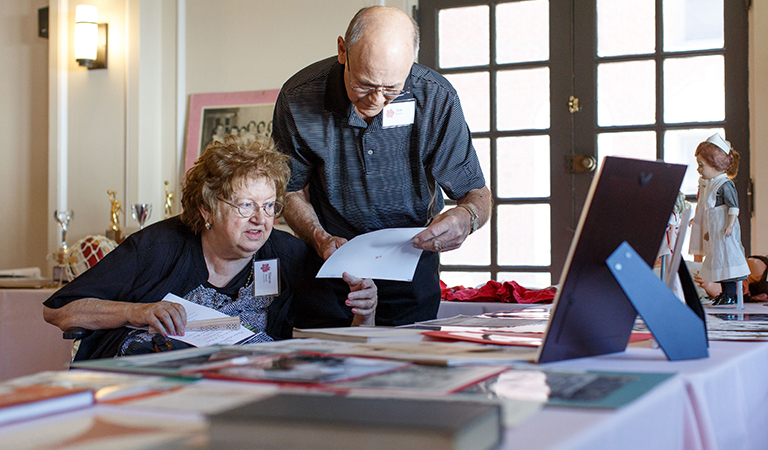 Tom and Sharon Stewart view photos and memorabilia on the history of IU Ball Nurses' Sunken Garden. Sharon is an IU School of Nursing alumna from the Class of 1972. 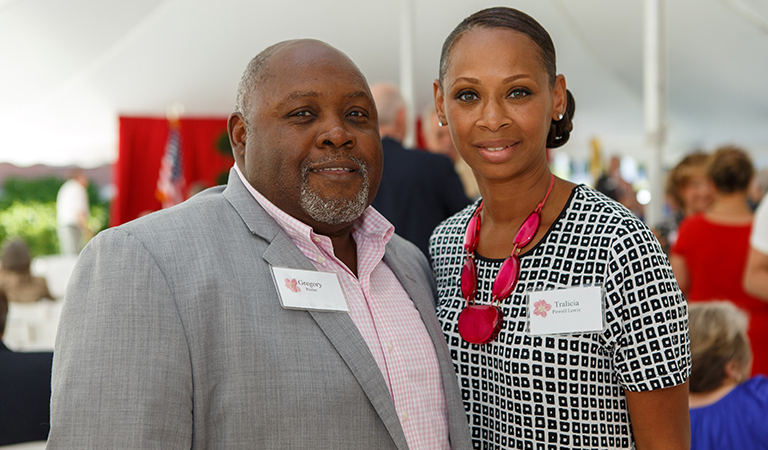 Indiana Representative Gregory Porter and Tralicia Powell Lewis, Interim Vice Chancellor for Student Affairs, enjoy the rededication of the IU Ball Nurses' Sunken Garden. 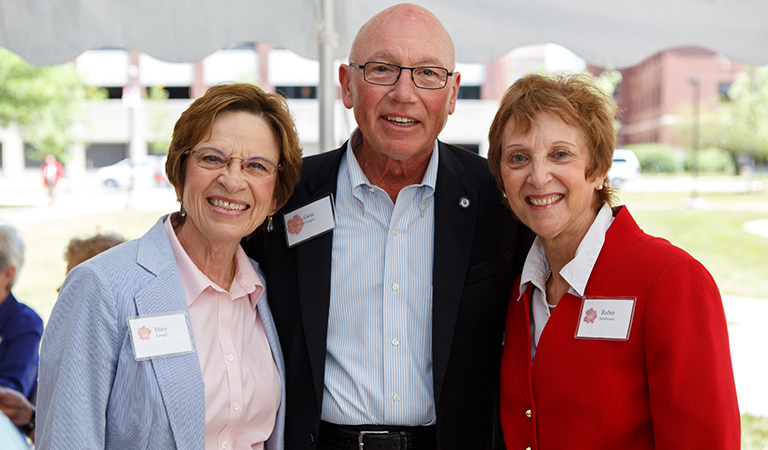 Ruth Rodefeld, Class of 1959, Sally Krause, Recruitment and Outreach Coordinator, IU architect Jerry Stuff, and guest enjoy the Ball Garden celebration. 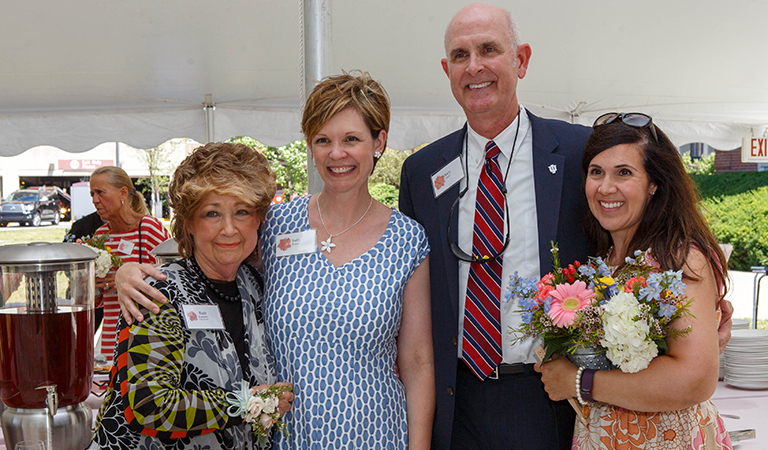 Mary and Gene Tempel and IU School of Nursing Dean Robin Newhouse celebrate the renovation of Ball Garden at IUPUI. 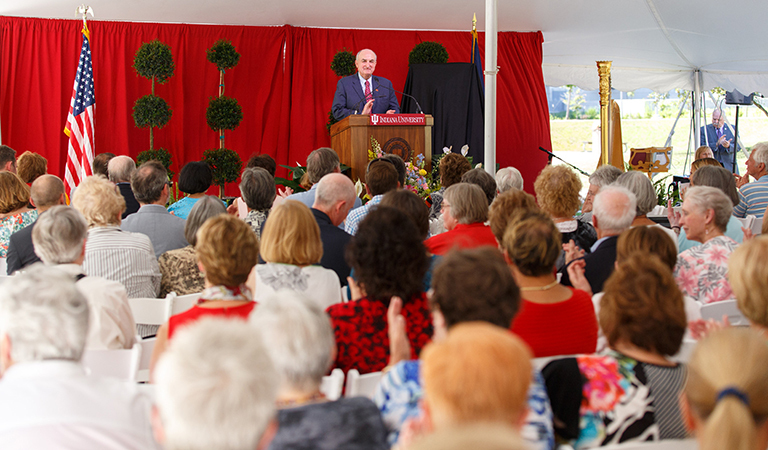 President Michael A. McRobbie delivers remarks at the rededication of Ball Garden. 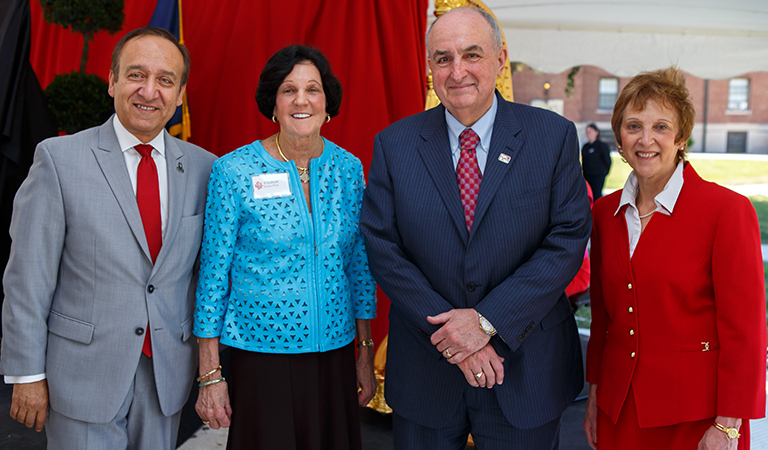 Dean Newhouse, President McRobbie, and Chancellor Paydar, and take a photo with guest Elizabeth Bracken Wiese (in blue). Ms. Wiese is the granddaughter of Frank C. Ball, one of hte Ball Brothers whose gift helped create Ball Garden and Residence. 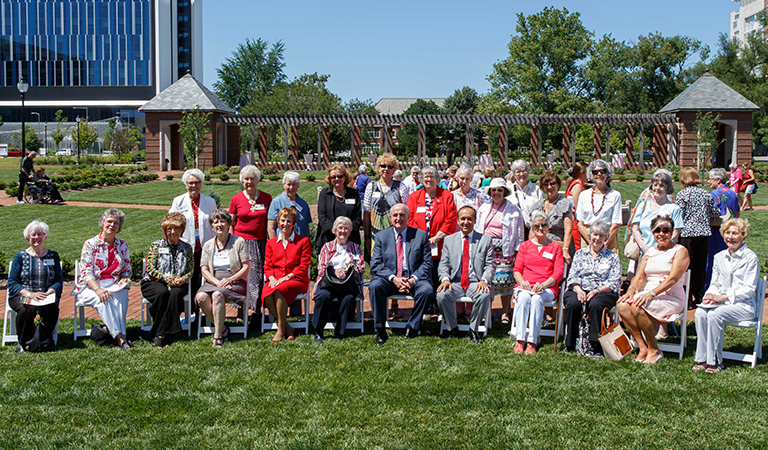 IU School of Nursing alumni at the celebration of Ball Garden's renovation. 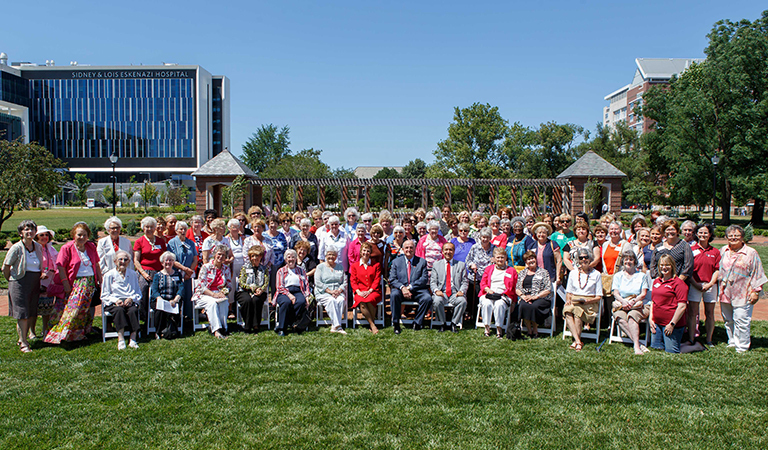 IU School of Nursing alumni and current students at the celebration of the renovation of Ball Garden at IUPUI. 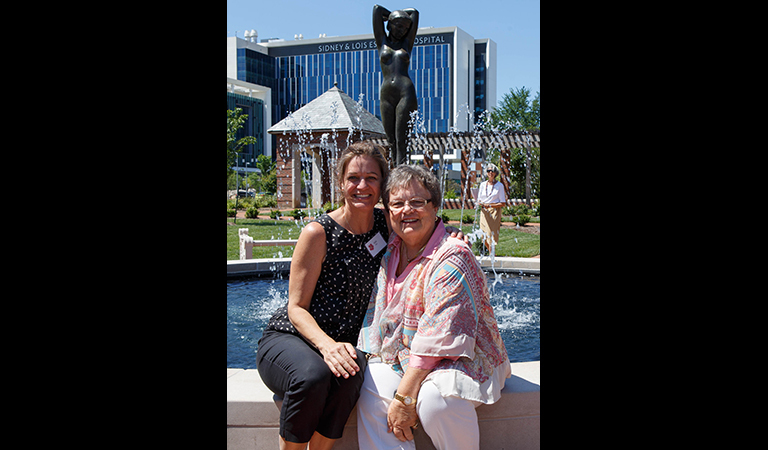 Two guests enjoying the fountain at the celebration of the renovation of Ball Garden at IUPUI.